Authorities are investigating the death of a 39-year-old woman who was found unconscious in her bedroom after a night of drinking with her husband, sources familiar with the investigation tell News 4. Oksana Chatkeviciene was pronounced dead at her Brooklyn home on West 24th Street around 10 p.m. Monday. There were no obvious signs of trauma. Sources say she and her husband had been drinking, then went to bed. 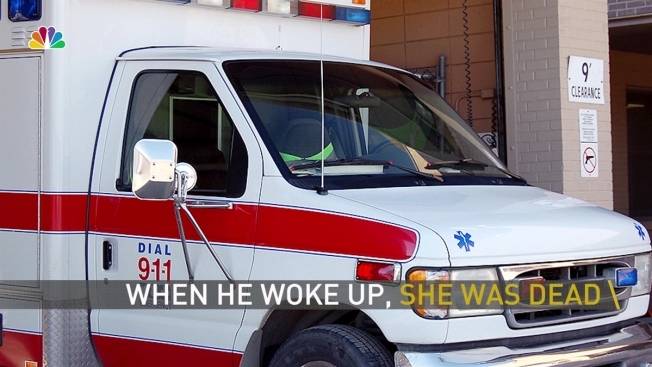 When the husband woke up, his wife was dead. It wasn't clear how much they had consumed. The medical examiner will conduct an autopsy to determine cause of death. Sources say no criminality is suspected at this time.